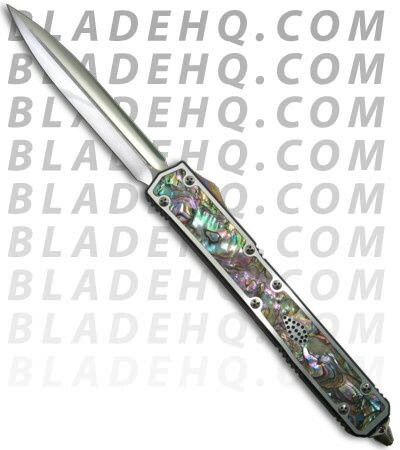 The Microtech Makora II is Microtech's newest and biggest (over 10 inches!) offering. As if that weren't enough we are offering you the Limited Edition Custom version! The Makora II is double action meaning is fires both out and in via the titanium slide button located on the right side of the knife. Action, lock-up and quality are all Microtech-top-notch. This custom Makora II has a double edged mirror finished D2 plain blade. 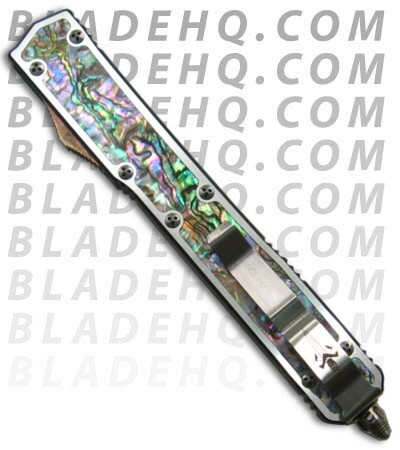 The handle has black anodized T-6 aluminum handles with abalone inserts encompassed by brushed silver aluminum on both top and bottom. Pocket clip features serial number, born date and "A. Marfione". Satin finished hardware and glass breaker. 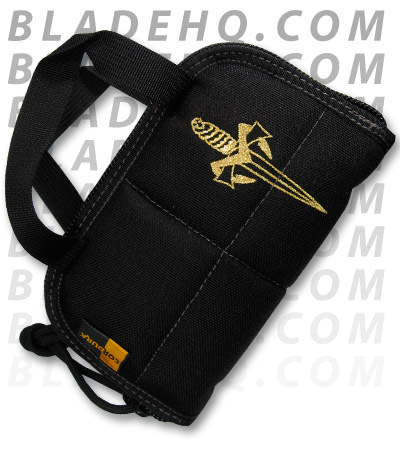 Comes with deluxe Cordura case (see photos). The Makora II is here.